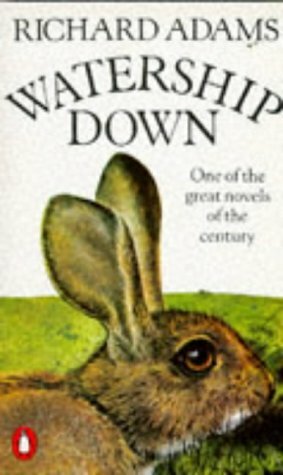 Watership Down is a great and engaging novel by Richard Adams. It was published in 1972 and is set in a similar period. The setting is in England, near and on the downs (very large, grassy hills). You can tell Richard Adams doesn't like how meadows and other environments are being developed into built environment. The book also teaches about good leadership. The story is about a group of rabbits living in a nice warren within a plot of land. Fiver, a timid, small, weak rabbit, suddenly has a horrible feeling that they have to leave the warren. His fear is backed up when a mysterious white sign appears near the warren. Obviously, rabbits cannot read, but it said: THIS IDEALLY SITUATED ESTATE COMPRISING SIX ACRES OF EXCELLENT BUILDING LAND IS TO BE DEVELOPED WITH HIGH CLASS MODERN RESIDENCES BY SUTCH AND MARTIN LIMITED OF NEWBURY BERKS. Most of the rabbits are not concerned about the sign, but a few who believe Fiver is right assemble together one night and leave their home forever. They travel through strange lands with foxes, badgers, stoats and strange rabbits with unusual customs. They go through woods and fields and cross roads driven over by Hrududu (cars). Eventually they reach Watership Down, where they establish a warren and meet the seagull Kehaar. they rescue some does from the heavily guarded, heavily disguised warren of General Woundwort, Efrafa, and battle for their lives against Woundwort's fury. The main characters are Hazel, Fiver, Bigwig, Blackberry, Kehaar and Woundwort. Hazel is definitely the main character, an averagely sized rabbit and a great leader. 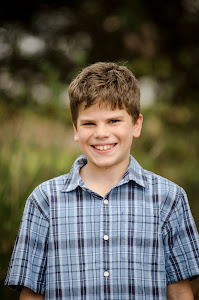 He is very brave and is admired by his friends. When they establish a warren, Hazel is the leader. In the old warren he had no high position. Fiver is a small rabbit, the fifth in a litter. He has an ability to see things in the future and things going on far away. He is feeble and quite weak. Bigwig is strong, brave, and a larger rabbit. He has a growth of fur on his head, earning him his name. He starts out proud but by the end he has become more humble. Blackberry is another member of Hazel's warren. Clever and loyal to Hazel, he comes up with plans and ideas that make their rescue from Efrafa happen successfully. Kehaar is a black-headed seagull rescued by Hazel when he was injured. The rescue was dangerous as Kehaar was in pain and feeling very angry. He used rather foul language at first when he had no idea what rabbits were and what they ate. He thought they were trying to capture him and eat him. Before long he was very loyal to Hazel and had a strong friendship with Bigwig. Woundwort is a vicious rabbit. In fact, he is more like a hunting animal. He is a very large rabbit and would prefer to stand and fight any enemy, no matter how big, than retreat. He is the chief rabbit of Efrafa. He is a tyrant of a king, fierce and very vengeful. The book shows a lot about leadership and tells us how leaders should act using Hazel as a role model. The book has been cleverly researched and the facts about rabbits are true. However it is obviously a fictional story! The rabbits have culture, religion and even their own stories which the reader will hear occasionally. I like it because of its mix of science and fiction and how it is exciting. I think it is a great book. I read that book too. I really like it. Have you watched the movie? There is another book with lots of the rabbit stories. It is called Tales From Watership Down. It is also by Richard Adams. It is a 'long-awaited sequel to one of most beloved novels of all time'. Glad you finally read 'Watership Down' Jake. A great review. Love Grandad.